By 2020, it is expected that there will be between 20 and 30 million IoT units in the marketplace, according to a study conducted by Gartner. With this much data being collected, the need for a way to analyze it grows exponentially. 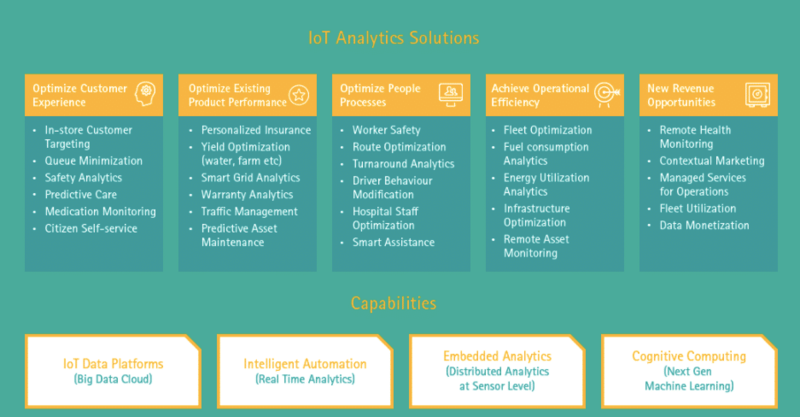 Many of the enterprise applications for IoT analytics, such as in manufacturing, finance, telecom, healthcare, and others have unlimited potential when data is managed and analyzed correctly. 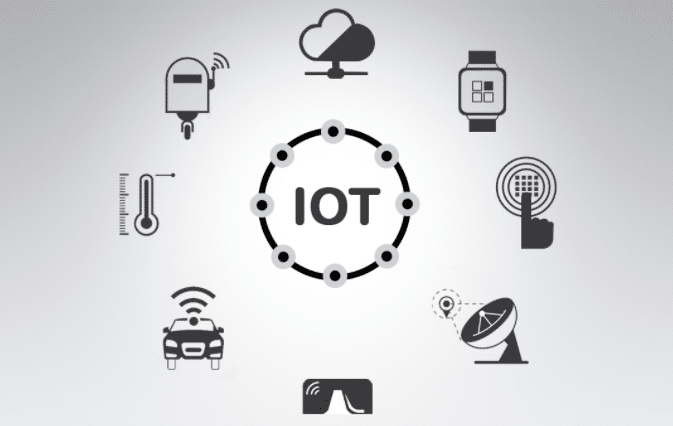 To meet this need, IoT analytics has emerged as the broader category of uses and applications designed to help analyze the data obtained by IoT sensors. 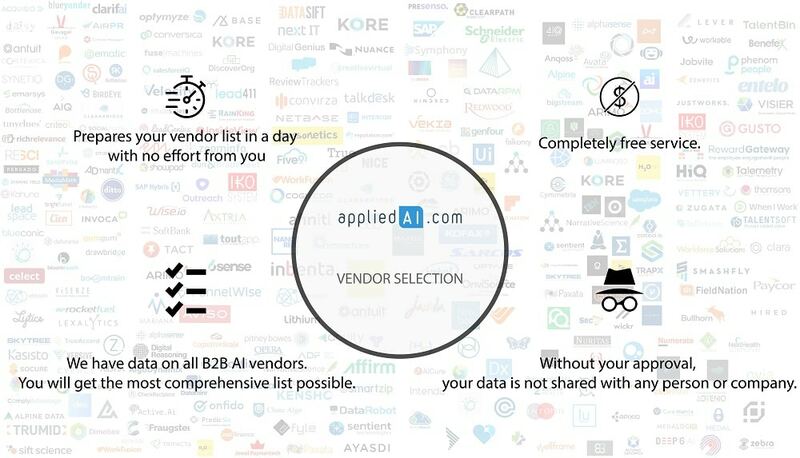 Once this data has been properly analyzed it can then be used to help make better, data-driven decisions for organizations that are in search of a competitive edge. 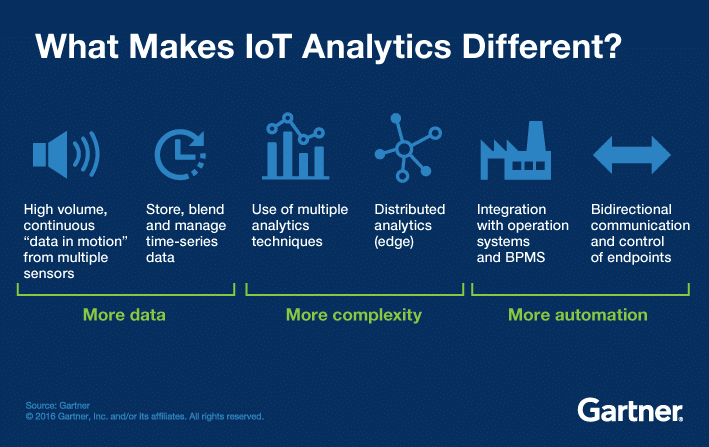 There are a number of applications and use cases for IoT analytics. Predictive maintenance: For manufacturers and similar, taking data from a sensor and building a model around it to better anticipate when equipment may need repair can be hugely beneficial. Elevator manufacturer ThyseenKrupp has been following this methodology and has found that it not only prevents downtime, but aids technicians in finding the right cause of the problem faster. Industrial infrastructure: Take for example a warehouse that remains under surveillance overnight. IoT sensors on motion detectors can ‘learn’ how much activity counts as an ‘event’ and alert human operators if something happens that exceeds this threshold. Over time, as more and more data is collected, the effectiveness of the IoT sensors and their related analytics only stands to improve. 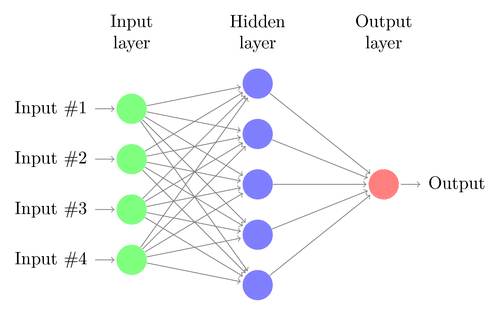 Because the analytics from the sensors enable machine learning, there is no need for human intervention to set complex rules as to what counts as an event. Process optimization: With smart tools and components, businesses can collect usage data in order to locate strengths and weaknesses and adjust accordingly. Social analytics: By combining sensor data, social media, and video data, event managers can enhance the experience of participants based on subtle and rapid changes in things like facial movements and body language. IoT sensors make it work through a form of analytics known as ‘sentiment analysis’, supported by cameras as rich data sources, coupled with biometric sensors on key actors in such events, such as coaches in the case of live sports. Streaming analytics: Continuous data processing requires continuous data collection. This type of analysis will become increasingly common when it comes to endeavors such as self driving cars that need to be able to respond in an instant when something changes. Consumer product usage: Many products today are connected and provide data for manufacturers about how they are used. 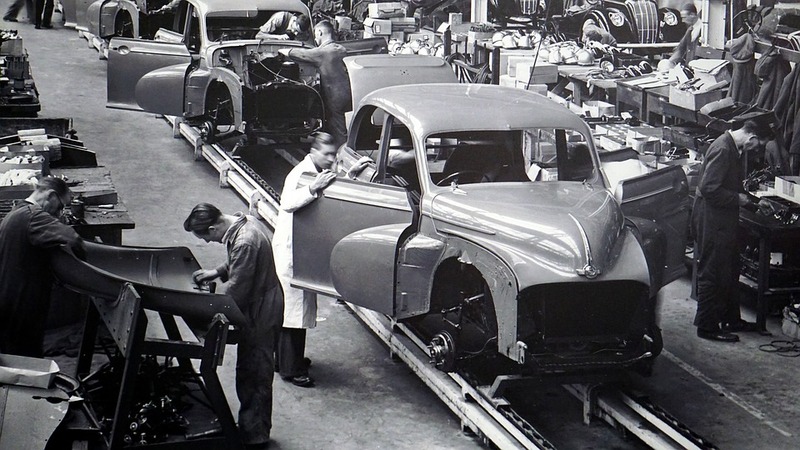 Having this understanding of what happens to products after they arrive in their final destination can help businesses to create products that are more useful, more effective, and ultimately sell better. This can also help with marketing and sales efforts when combined with data collected on buyer and audience demographics and information. Time series and data structures: The sensors supported by IoT analytics often receive tons of static data that doesn’t mean much until something happens to change it. The relationship between long periods without change and what causes an event can be difficult to ascertain and use in our diagnostic or predictive efforts. Balancing scale, speed, and storage: Finding the right balance between storing enough data, analyzing it quickly enough, and the ability to scale these two processes with your business can be difficult – particularly when it comes to data that is highly time sensitive. This is particularly true when storing enough data to have historical comparisons can meet that the requirements to hold on to it all are getting increasingly hefty – and then too also need to be managed and secured. Getting the right talent to manage it all: IoT analytics require developers, database specialists, data scientists, data processing specialists, and a range of other highly specialized and in-demand skillsets. Data blending: Combining data from multiple sources into a functioning and useful data set. Rules engine: Software executing one or more business rules in a runtime production environment. Device shadow: JSON document used to store and retrieve current state information for a selected device.